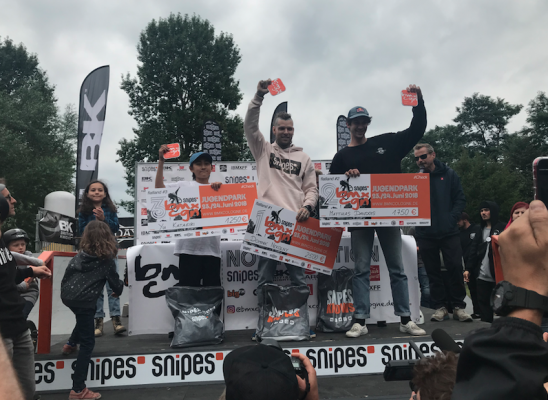 Dominik Nekolny took the win at BMX Cologne for the second year in a row with an amazing flawless performance. The finals was absolutely electric, with Matthias Dandois throwing also another flawless run to take the second place spot. Matthias has yet to touch in 2018, I will keep saying how incredible that is, just wow!! 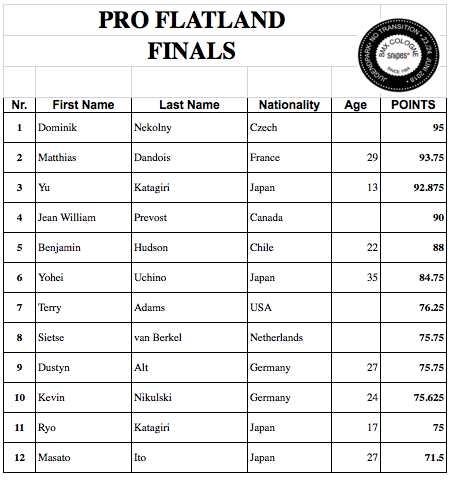 Young buck Yu Katagiri is the real deal and rocked the flatland arena to take the third place spot in one of the most fierce finals I have ever seen. Jean William Prevost took the 4th spot, with homie Benjamin Hudson rounding out the top 5.